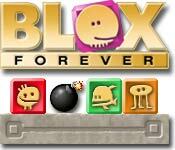 Handle fun-filled challenges such as gem traps, chain reaction bombs, slug blox, instant death skull blox, and one-way signs.Quench your puzzle-solving addiction.Quench your unrelenting puzzle solving addiction with BLOX Forever! Treat yourself to 100 levels of spectacular graphics, amazing sound effects, and enchanting music. 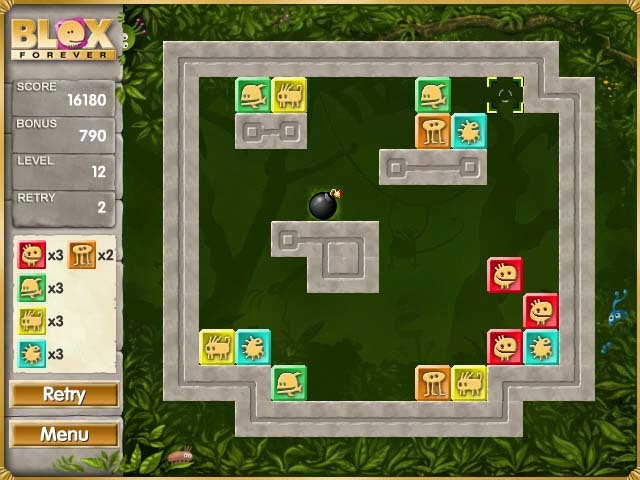 Handle difficult and fun-filled challenges such as gem traps, chain reaction bombs, slug blox, instant death skull blox, and one-way signs. 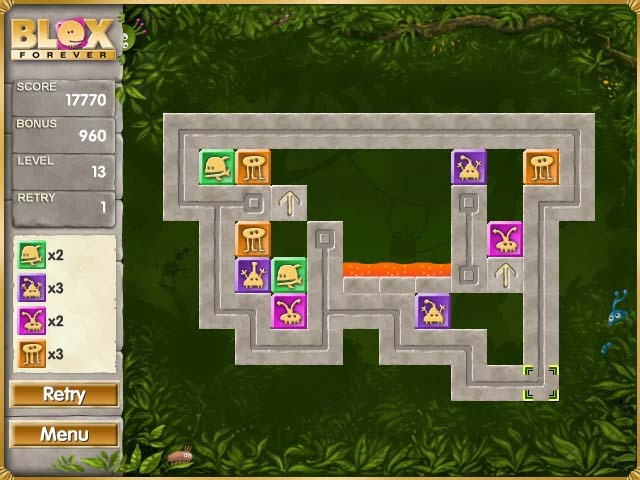 As an added bonus, create your own levels with the level editor! Download now; play forever.